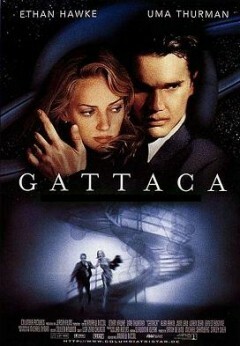 Gattaca is a future dystopia in which everyone is strictly controlled according to their genetic profile. Only those with superior genes can fulfill superior roles in society. Vincent Freeman, a genetic misfit, attempts to trick the system in order to acccess the life he is forbidden from having. 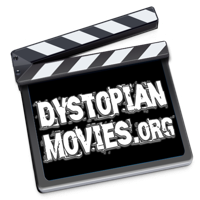 What makes Gattaca a Dystopia? The society built on a lie that must not be questioned – that genetic profile is entirely deterministic towards one’s potential as a human being. The commoditisation of mankind, in which every person is statistically tracked like some car-insurance policy. The dehumanisation of the process of procreation, love is no longer a part of the equation – instead it comes down to a clinical laboratory procedure. A society that is so rabidly risk-averse that it runs under a strict totalitarian regime in which its inhabitants cannot truly live and flourish. It is rather reminiscent of the draconian grip that a corporate mindset in general (and insurance companies in particular) have over current society, and their ability to arbitrarily shut down any innovative or creative activities that do not fit their sterile and short-sighted model. Geneticist: We want to give your child the best possible start. Believe me, we have enough imperfection built in already. Your child doesn’t need any more additional burdens. Keep in mind, this child is still you. Simply the best of you. You could conceive naturally a thousand times and never get such a result. Gore Vidal as Director Josef in Gattaca: "I reviewed your flight plan. Not one error in a million keystrokes. Phenomenal. It's right that someone like you is taking us to Titan." Xander Berkeley as Dr. Lamar in Gattaca: "You don't want to miss your flight, Vincent." Anthony Sharp as Minister of the Interior in A Clockwork Orange: "Public opinion has a way of changing."